What is the Definition of Christian Education? Christian Education can mean different things to different educators. At Christian Leadership University, we think Christian education is more than just Biblical knowledge. Bible colleges that only teach the basic information are missing a crucial component to Christian education. At CLU we think the definition of Christian education is Spiritual formation. It’s about allowing Christ to be formed in you through the power of the Holy Spirit. The world tells us if we work hard, we can achieve results. I refer to that as grunting, or the human effort put forth to make things happen. We can grunt out results in Bible college. We can work hard to memorize languages, historical facts, and Biblical information. But if we are only gaining head knowledge, our Christian education is lacking. We need our heart to be transformed. This only happens through a Spiritual formation of wanting to be like Christ, knowing how Christ would act, and then acting likewise. For example, if our knowledge tell us that we are to love our neighbor, we can say “I will love my neighbor”. That is an example of humanism and making it about our will instead of a process. The knowledge of “love thy neighbor” can border on Biblical legalism if you focus on the law rather than being led by the Spirit. However, spiritual formation encourages us to look at what is unseen, rather than seen. We are called to fix our eyes on Jesus and do what Jesus is doing. He is loving the person, so we want to love them. Knowing how to allow Christ to be formed in us and how to act as Christ would what Christian education is all about. If you are an educator, work to teach your students more than just facts, but also how to listen to God and seek His will. If you are a student looking for a school or Bible college, look for a place that will help you with your Spiritual formation, to seek God and follow His voice. Christian Education is a Bible Based, Holy Spirit empowered, Teaching Learning process which seeks to guide individuals at every levels of Growth, through contemporary teaching means, with an Overall Focus on Christ the Master Builder’s Purpose and Plans to make Disciples. 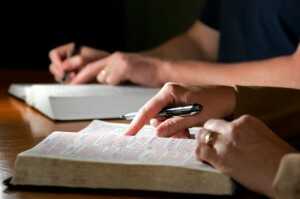 why has biblical education been ignored in so many churches? what has been the result? I love this explanation of Christian Education. It really connected with me. I am thankful for this definition of Christian Education. I believe that it is the education necessary to help individuals understand and know what it means to be a Christian. I believe that the need for more christian education is indeed needed.